Looking for an easy savory galette recipe? Look no further, you have found it right here. 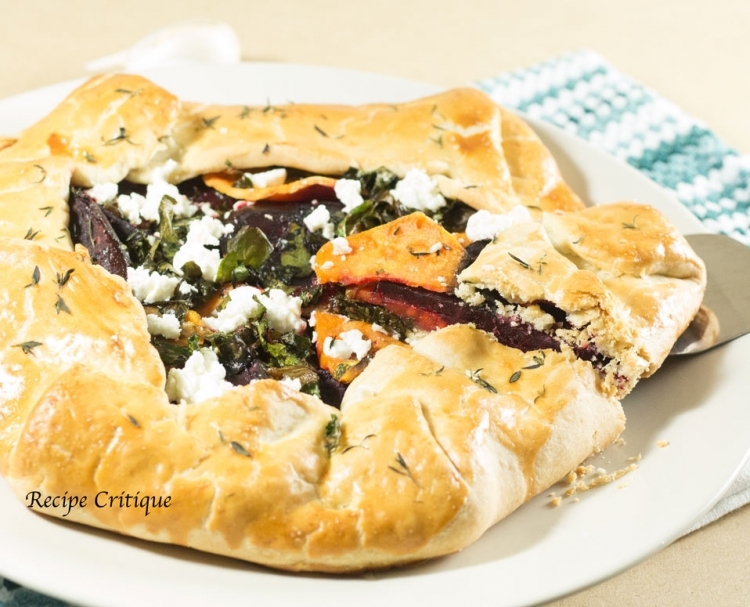 This roasted beet and sweet potato galette is one of the easiest galette recipes I have come across. The added bonus is the flavor. Beets and sweet potato come together in such a way that the explosion of flavor in your mouth leads you to want to eat more. Beets contain essential everyday nutrients that your body needs, like the B vitamins, iron, fiber, manganese, vitamin C and potassium. They are also rich in nitrates, which may help control your blood pressure and improve your endurance. The nitric oxide found in beets helps bring on improved brain function. The beets amino acids help reduce and prevent the buildup of fats in the liver. 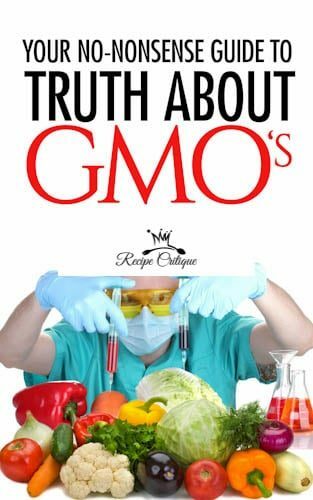 Their antioxidants and anti-inflammatories help fight chronic diseases like obesity and heart disease, and help protect us from common carcinogens. Of particular note, according to information published by The worlds healthiest foods, are beets anti-cancer benefits. Studies conducted on human tumor cells indicate they may be of some help with lung, colon, stomach, breast, prostate nerve and testicular cancer. Sweet potatoes are a wealth of nutrition. They contain protein and fiber. They are a great source of vitamins A, C and B6, as well as potassium, manganese, and niacin. Sweet potatoes help stabilize blood sugar levels, are rich in antioxidants which help fight free radicals, enhance immunity and may help with weight loss. Put the flour and salt into the bowl of a food processor using the blade attachment. Whisk several time to combine. Add the butter and pulse to combine. Pour the water into the tube and run the processor on low until the dough forms into a ball. Place the dough on a lightly floured surface and form into a round disk. Wrap with plastic wrap and chill in the refrigerator for 30 to 45 minutes. Toss the olive oil, garlic, beets, sweet potato and spring mix until it is all nicely coated with the oil. Add salt and pepper to taste. Arrange the vegetable mix evenly in the center of the dough round, leaving a 1 inch border. Gently fold the border over the vegetables. Brush the border with the egg wash and sprinkle with the thyme leaves. Bake 30 to 40 minutes, until the crust is a golden brown. Remove from the oven and immediately sprinkle with the goat cheese. 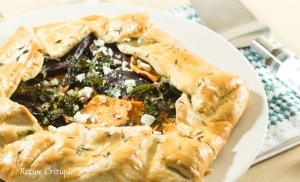 Combining both beets and sweet potatoes in this savory galette recipe was a nutritional win ñwin. Beets have a earthy taste to them and sweet potatoes are, well somewhat sweet. The mix of flavors in this beet and sweet potato galette is really intriguing and work exceptionally well together.